Is Your Business Hiring the Wrong Folks? It is 2013 and you have some three-fourths of the year in front of you to take your small business to new heights. So, what are a few things that concern you over the remaining nine months? If hiring the right talent to helped carry your business to more success is one of those concerns, what do you plan on doing about it? As a small business owner, you obviously have a full plate to handle on a regular basis. Decisions involving products, services, budgets, promoting your company, and more likely consume you on a daily basis. That being said, where does hiring the right employees rank on such a list? For some business owners, it just takes one wrong hire to throw off the office chemistry, potentially throwing the company into upheaval as you try and right the ship. * Mileage – Finally, locating that individual who will go that extra mile for you and your business is golden. Extra mileage means the man or woman who will stay past their regular hours or come in early, speak up regularly at company meetings to offer constructive ideas to grow the company, and not afraid to offer their talents and experience to others in the office. Some employees do just enough that is required of them, while others will go above and beyond. When you find those latter individuals, your business stands to gain. 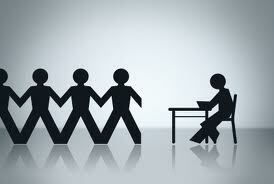 As the calendar prepares to turn to April soon, are you making it your business to find the right employees in 2013? About the Author: With 23 yearsÂ writing experience, Dave Thomas covers a variety of small business topics, including helping those who might say i need online reputation protection. Each and every one of us has the opportunity to define the course our lives will take over time. Essentially in life you have those who will never move far from their comfort zone and those willing to take a chance or two. Now before I tell you which one I am let me state that those that choose to not take risks are not doing anything wrong by any means. When they choose to play their life cards close to the vest, they are no better or no worse than those that choose a little riskier proposition. As for my story, I was always fascinated with California as a kid growing up in a middle class family back on the East Coast. 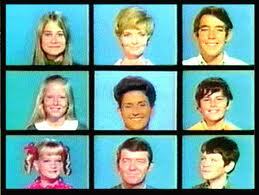 Maybe it was watching one too many Brady Bunch episodes or the allure of warmer weather practically year-round, but something hooked me at a young age. Truth be known, I always thought the Brady kids lived in the coolest house, but weâll save that discussion for another time. So as I worked my way through high school and college, I knew once my schooling days were over that a decision would present itself. Would I stand pat and stay back home for work the rest of my life or would I venture to the other side of the country, roll up my sleeves and give it a whirl? As I pondered this decision more and more, the thought of starting up a business always appealed to me, but I also knew that financially I was not in a position to do such. Maybe I would join the Coast Guard, become a police officer or involve myself in the sports world, three other career choices that always intrigued me? When my college graduation day finally arrived, I was then thrust into a little more of a hurry up when it came to making a decision on what route I was going to take in life. After working part-time to have a little money coming in, I got my first full-time job as a sports writer for a local newspaper. Let me be quite frank, the money was nothing to jump up and down about, but at least I was not giving my parents any additional heartburn as to what their youngest one was going to do with his life once his college days were over. Working for nearly six years with that publication, I came to the realization that while I enjoyed the work and the ability to stay involved in my local community, I was not totally satisfied. Something was eating away at me, something that I had the power to control. I decided to fly off to California for a weekâs vacation and check it out, you know, just to satisfy my craving. After spending a week visiting San Diego and Los Angeles, my life was about to do a 180. I returned home and told family and friends that I had to do it, I had to go live in California and at least give it a shot. Sure, it may be the dumbest decision in my life, both from a personal financial stand point and also professionally, but I had to take that risk. So, with marginal savings, no job lined up and the reality that I would be some 3,000 miles from my comfort zone, off I went. I must point out that without two very supportive parents, the journey may not have even materialized in the first place. How different would my life be today had I stayed home and not undertaken this journey? Would I be further ahead in my life both professionally and personally or further behind than I am today? If I knew then what I know today, would I have made that gamble to leave a full-time job and family? What would have happened had my parents not been as supportive as they were? If I had children, would I encourage them to do what I did or selfishly want them to remain standing pat and under my eye? Although I would have changed some things regarding this journey knowing now what I did not know back then, Iâm 99.9 percent sure I would have made the same choice today as I did some 18 years ago. One of my older co-workers at the time back then told me that she really admired the fact that I was willing to take such a risk. As she informed me, she and her husband had a similar idea to try something completely different, but they did not, and now it was too late in life as they were raising a family and essentially entrenched in their lives back East. My feeling at the time was quite simpleâ¦ if California did not work out I was always free to come home. My feeling was also that I did not want to look back with regrets years later that I did not pursue my dream of getting to California one day. I canât say that Iâm a huge risk taker these days, sitting here knowing that statistically Iâve lived more than half my life. I can say with certainty, however, that if I died today, it would be as a happy man. Quite simply, my dream in life has been fulfilled several times over. Sometimes when I look at the palm trees, the ocean, the California license plates and more, I have to pinch myself and take stock of the fact that Iâm actually here. No matter what life throws at you, donât ever let your dreams be extinguished. Keep in mind that each and every one of us does indeed have the ability to dream and see those dreams come true. I know one kid growing up some 40 years ago on the East Coast that saw his dream become a reality. Dave Thomas, who covers among other items advice on starting a small business and obtaining workers compensation insurance, writes extensively for Business.com. Has Sexual Harassment Ever Impacted Your Ability to Do a Job? For most female workers, sexual harassment and their paths will never cross. For some, however it is an all-too frequent reminder there is still a ways to go in society, relating to treating women with respect at work. While sexual harassment cases against men on the job do occur, the abundance of cases involves female workers being the targeted victims. Simply put, sexual harassment is defined as any unwelcome sexual advance or conduct at the workplace that leads to an intimidating, hostile, or offensive working environment. According to information for the year 2010 from the Equal Employment Opportunity Commission (EEOC), employers who were unable to protect themselves from sexual harassment claims filed with the agency recovered damages with settlements accumulating more than $48.4 million. An actual sexual assault on workplace property. Should the higher-ups in the office not handle the matter, seek outside assistance from an agency set to deal with sexual harassment in the workplace. At the end of the day, your employer is held responsible for the workplace actions of each and every worker under its employ. To let sexual harassment actions go unpunished is not only a crime, but a slap in the face to the many hard-working women (and men in those cases who are harassed by women on the job) who simply want to show up day in and day out and do their jobs. As a career woman, have you ever encountered sexual harassment along the way? If so, what did you do about it? Dave Thomas, who covers among other items business proposals and small business loans, writes extensively for Business.com, an online resource destination for businesses of all sizes to research, find, and compare the products and services they need to run their businesses. Often I work with service professionals to focus their businesses. We identify their unique value proposition — what they bring that no one else can. In that way, we develop a service that they love offering and their clients love too. Doing what we love can’t be infatuation. After the first congratulations about our new job, other folks might care, but they have their own work to do. They won’t be paying attention to whether we love what we’re doing. Many will take for granted that we’ll get over that that “love thing” in a week or two. Yeah, we need to keep the love alive on our own. It’s the love that gets us up in the morning. On some days, it takes gut-wrenching love to keep us going. Start each morning with these 25 ways to love what you do, and success with be always in view. Love your clients and everything they care about, even when they’re unreasonable. Love thinking things through so that they don’t have to worry at all. Love the clients who change their mind more often than they change their underwear. Love promoting your work so that folks can find you. Love the fact that you’re always learning, mostly by doing things wrong. Love the challenge of figuring out how to pay the rent. Love the hours you’re working, and working, and working. Love the accomplishment that makes your client look like a hero. Love the calls from people who think you have free time to talk to them. Love that you solve problems before clients even see them. Love the clients who offer you a chance to learn. Love that you can sneak in a nap or a movie break now and then. Love your successes and your failures. Love the 13-foot commute to your computer. Love the folks who love you, but don’t “get” what you’re doing. Love everyone who offers you a chance to show what you can do. Love the folks who get paid vacations while you wish for a free minute. Love the chance to be your own boss working for clients who hire you. Love the chance to do work for free to build your portfolio. Love the chance to get intimate with your credit card number. Love deciding for yourself which clients are not a good match for you. Love meetings when folks wish they could leave the building with you. Love the feeling of being slightly out of control. Love that you’re adding your unique value. Love going to sleep tired, knowing you’ve been doing what you love. We all define love and success differently. Yet is seems that success comes more easily when we full-out do what we love and love every part of what we do. What’s your experience with doing what you love? Has it really been easy for you? Work with Liz to focus in on what doing you love to do!! We live in a lottery culture. Instant gratification is the working model we are presented with most times. If it doesn’t happen right away, then most folks tend to give up. When they give up they tend to fall into one of two categories, both of which are looking to find a place outside themselves to affix the blame for their lack of success. I guess our psyches are somehow wired in such a way that as long as there is an outside source that we can point to as the cause of our circumstance, then we can press on without facing the pain of actually working though our own part in events leading up to where we find ourselves. The first category of blame fixers either point to some entity as the cause of their circumstances (“I can’t save any money because the government taxes me too much.”) or they will double down on their circumstances and blame one circumstance for another (“I can never be wealthy because I was born poor”).